The Grade 20 goalkeeper was superb between the sticks, saving his side on numerous occasions to hold out a gallant Wollongong outfit. A wet and cold night in south-west Sydney greeted the Bonnyrigg and Wollongong players on to the field, making it difficult for the players to find their rhythm in the early stages. It was Wollongong who was presented with the first opportunity of the night when David Able latched on to a free-kick, but Vekic was waiting between the posts to clean up his effort. It took the White Eagles a while to settle into the match, but when they did, they did so with a bang. Nikola Zonjic was allowed too much space and as a result, belted home what arguably was the goal of the season. The number 7 drilled his shot from 30-metres out, thumping the ball against the crossbar and into the back of the net, stunning the Bonnyrigg faithful who braved the miserable conditions. Wollongong weren?t about to sit back and let their opposition dictate terms, as Kieran Deane and Steve Hayes linked up to create a half chance up front. But at the other end, the White Eagles were creating chances of their own, this time it was Milorad Simonovic trying his luck from outside the box without any success. Simonovic then coughed up possession on the halfway line, allowing Deane a clear run on goal, but Graeme Forbes put his body on the line to save the day for the home-side. Steve Hayes had a chance to level the score on the stroke of half-time, but his efforts trickled straight into the arms of the reliable Vekic in goals. Bonnyrigg almost doubled their lead just after half-time, but Milan Zoric?s header from a corner smashed into the crossbar, this time failing to find the back of the net. It was almost a case of d?j? vu in the second period, when Wollongong?s Steve Hayes tried to replicate the efforts of Zonjic earlier in the match. Hayes? shot from 30-metres out ricocheted off the crossbar, but unfortunately for Wollongong it bounced away from danger. The visitors then went on an attacking onslaught, but Bonnyrigg shot-stopper and 19-year-old Vekic was in sublime form, saving his side on four occasions in the space of 2? minutes in what proved to be the most decisive period of the game. The Bonnyrigg defence had come under intense scrutiny in the first-half of the season, but in the wet conditions on Saturday night it looked to be holding strong, despite the efforts of Ilija Preznoski to penetrate goal. But against the run of play, Bonnyrigg regained the ascendancy to take full control.  Tayfun Devrimol did his best to get the ball past Alex Augusto, but the Wollongong goalkeeper grasped the ball on the line to narrowly hold out the White Eagles on that occasion. Two minutes later Paul Cotte took a free-kick from halfway for the White Eagles, but a defensive error from Alfredo Esteves saw his header sail over the ?keeper for an own goal in the 71?. Devrimol had a chance to stretch the margin to three in the 90? minute, but he spent far too long with the ball and was eventually hacked down by the Wollongong defenders. Domenic Cutri wanted to join in on the action, but his shot went across the face of goal, denying the White Eagles of a hat-trick to end the match at 2-0. ?We have a little bit of momentum going forward and now we have some new guys coming in so hopefully we can keep the momentum going,? he said. ?When we were up 1-0 Wollongong gained the ascendancy so we changed our formation and put another guy up front.? ?The first goal was special, it was a fantastic strike. ?And the young goal keeper made four fantastic saves to keep us in the game.? ?The first-half was a bit of tussle and we got on top of them at the start of the second-half but I don?t know how we didn?t score,? Hayes said. ?Their ?keeper had a magic game there is no doubt about that. ?If you compare our last performance to this one you will see a large improvement,? he said. ?Everyone is on the same page because we don?t want to be on the bottom of the table so we will be hoping to change that,? Hayes concluded. Substitutes Not Used: 23.Ali Akbal, 6.Ilkay Gurbuz, 4.David Petrovic, 19. Aleks Tomic. Yellow Cards: Nikola Zonjic 81?, Mark D?Alessandro 88? Yellow Cards: Balla Conde 68?, James Monie 70?